Tervis Drinkware is made of a new generation polymer and contains no BPA. These durable, air insulated cups offer drinkers the chance to keep beverages temperate. They are dishwasher safe and most can be microwaved for thirty seconds unless marked, as some decorative logos contain metal. Are Tervis Tumblers BPA Free? BPA, per Dr. Brent Bauer at the Mayo Clinic, stands for bisphenol A. It’s used in some polycarbonate plastics and epoxy resins. In adults, BPA may increase blood pressure. In children, exposure to BPA can impact brain development, behavioral problems, and the prostate glands. To avoid ingesting BPA, cut back on canned goods as the lining of the can may be sealed with a BPA resin. While BPA-free plastics are available, not all of them are marked. If you’re not certain of the status of your plastic container, check the recycle code. Codes 3 or 7 may put you at risk for BPA exposure. To remove the concern altogether, transfer your food to a glass container before microwaving. When consuming hot beverages, drink from stainless steel, porcelain or glass mason jars. 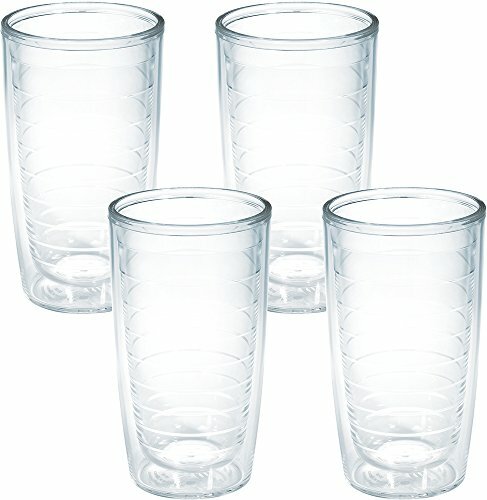 Are Tervis Cups Microwave Safe? Per the company website, the plastic in a Tervis Cup made post 2011 can be safely microwaved for no more than 30 seconds. Be sure to remove the lid from your cup. It should be noted that some of the design elements can impact microwave safety. Some cups contain metal accents in the design logo and are not microwave safe. These cups are clearly marked by a sticker on the bottom. Other design elements require the drinker to only microwave the cup when it’s nearly full of liquid or the logo will be damaged. BPA served as a “plasticizer” in hard, clear plastic, making it more durable and less prone to cracking. While BPA has been removed from many plastics, it was replaced with BPS, or bisphenol S. Scientist Deborah Kurrasch, currently studying BPS, notes that 95% of plastics release estrogenic chemicals when microwaved. When handling your Tervis cups, it’s important not to stack them as they can get stuck. Many users facing this problem have been able to get them un-stuck by freezing them. Stacking the cups can crack the top edges and cause the cups to separate. Tervis Technology comes from the year 1946, when engineers Frank Cotter and G. Howlett Davis developed a double walled, air insulated tumbler that would keep hot drinks hot and cold drinks cold. The brand name is a combination of the last three letters of each man’s name. Using air as insulation has been around for a while. Experts at GCSE Science note that it’s one of the reasons we’re encouraged to layer in the winter. By wrapping a layer of air around something cooler or hotter than the outside environment, the transference of heat by conduction is slowed. Most tumblers can be converted to large Tervis mugs with the use of a slip on handle. The handles are sized to fit the 16 or 24 ounce tumbler and can be cleaned on the top rack of the dishwasher. Smaller Tervis mugs with permanent handles are available in a wide variety of colors. Tervis lids are available in a wide variety of colors and are sized to each of the mugs. Nearly all the lids snap on to the cup with the exception of the Tervis water bottle, which screws on. Tervis Drinkware provides people on the go with spill-proof options, fun logos and custom lids. Since 2011, Tervis Drinkware is BPA free. Other concerns regarding microwaved plastic products linger, however, so any beverage to be consumed by a child or pregnant woman should be heated in ceramic, porcelain or glass.